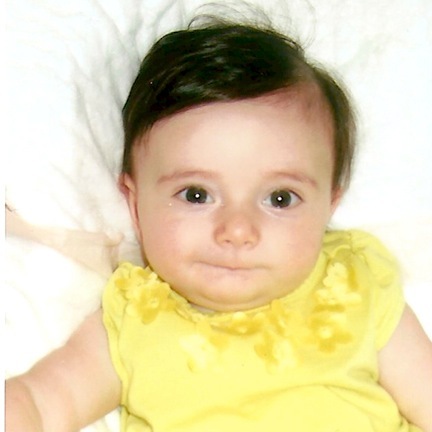 Little Sugarpie’s passport photo…now that’s a whole heap of cute right there. So we’re planning a trip to Italy in a few months and Sugarpie needs a passport ’cause apparently you can’t get through security with just a gummy little smile. This goes for all children under 16, from newborns on. Go to your local Passport Acceptance Facility (click here for the Austin ones) with the following documentation. Here’s a link to find them for the whole country. Many post offices function as passport acceptance facilities and so do some courthouses. *Completed but UNSIGNED DS-11 form. *If both parents cannot appear at the passport acceptance facility, the absent one needs to fill out this consent form and have it notarized: DS3053. You can get things notarized at most banks. If you go without this they will send you back. *Proof of citizenship, i.e. child’s birth certificate. As of April 2011, both parents’ full names must appear on the BC. This must be an original and yes, you have to leave it, but they’ll send it back with the new passport. *Valid ID of applying parent along with copy of valid ID of both parents. This could be a passport, driver’s license, or other state or federal ID. *One 2inx2in photo. Yes, even if applicant is a newborn. CUTEST PASSPORT EVER. Photo must be no more than 6 months old. Call the acceptance facility before to see if they take pictures, some do. Bring your credit card AND a checkbook, just in case the office has not yet entered the 21st century. Here’s the official passport info page, in case you don’t believe me. It has all of the appropriate paperwork links and such. Click here to find current processing times. Easy Breezy, right? Now go get your jet-settin’ bebe’ and hit the road! Love that picture. Don’t let them thar eyetialians keep that pretty baby oerthar!!!!! Don’t worry Dad, she would miss her Nanna and Pawpaw too much. great post, picci! love you!